This chapter was brought to you by An, AnmesicCat, Grisia, Haikai, Lastear, and Lei. Within the Embinyu Church temple, Dark Knights were taking their positions in an orderly manner. The armor of the Knights on display was made of Mithril and Adamantium, shining like jewels as if they had never been used before. The floor was soft and luxurious, covered with the highest grade of carpeting, and on the ceiling was a chandelier made of finely cut emeralds and sapphires. The Priests and Dark Knights bowed their heads before the rebuke of the Pontifex of the Embinyu Church 11th Sect, Feylord. The Pontifex, Feylord, was obesely fat, and his face was covered by his upturned robe. However, the golden Embinyu statue of their evil God stood out prominently behind the Pontifex. It was a figure holding a different weapon in each of its 12 hands while killing Humans, Elves, Dwarves, Dragons, and other races. The golden statue, which exuded revulsion, was lightly shrouded in something like a gloomy fog. The Dark Knights and Priests bowed deeply at the waist. – You are an enemy of the Embinyu church! The Embinyu Church is a merciless group worshiping the most destructive and despicable evil God. Because they do not stop at any method or means for seizure and propagation, their relationship with the other Churches in Versailles continent was to the point where they would not share one hands-breadth of land or one sip of water. The 11th Sect of the Embinyu Church has publicly declared enmity against the man who interfered in their ritual and has mobilized pursuers. Weed-nim, you are wanted by the Embinyu Church. Pursuers will be on the chase for your trail. Along with the message window, Weed could see an image of what had happened within the Embinyu Church. If one’s notoriety for murder became extremely high, there were cases where the Kingdom sent pursuers. Those pursuers came chasing the trails fairly quickly. Even if the first group fails, a second wave of pursuers will quickly follow. The next group of pursuers will higher numbers and superior skills. It was virtually impossible to escape from a group of pursuers! He would definitely be caught at some point. Even if his movement speed was fast, or if he was a Thief or an Assassin with ‘Stealth’, it would only make a minimal difference on how long he can run. As the number of pursuers accumulated, outstanding Thieves or Assassins would join the group. Weed decided to think positively. It was due to good fortune nothing like this had happened to him until now! Since he had accumulated many resentful relationships while solving quests, getting chased wasn’t surprising. Anyway, accomplishing the quest here came first, since it was a chain quests with countless enormous rewards. By Weed’s side were the useful Bingryong, Phoenixes, and Yellowy. Not only were the Guardian Knights of the Matallost Church unable to leave the area around the River of Lamentation, but they couldn’t follow him to complete the quest because it was their duty to protect the Church’s temple. Once Bingryong entered the scene, the Phoenixes lowered their wings and bowed. Proper treatment to an elder brother! Yellowy also displayed obedience, like a docile Korean cow. Bingryong was greatly satisfied by the seniority treatment and told them the absolutely necessary information for living. Yellowy and the Phoenixes understood and nodded their heads in sympathy. This was vital information for a peaceful existence! Bingryong fully did his part as their senior. Weed took out the symbol of the Matallost Church, the Statue of Death, to do the follow up of the chain quest. The Statue of Death opened its mouth. In a place close to hell, the Matallost Church made a promise with three tribes. It was a promised alliance to fight together against any enemy that threatens them. In order the take up the promised alliance, you need the Cane symbolizing the token of the alliance. Take the Cane and persuade those tribes. Do your best to avoid pursuers and escape. In order to retaliate against the Embinyu Church, you need the alliance contracted 130 years ago. However, your task to persuade the descendants of these tribes will not be simple, because all of the people concerning the alliance are long dead. You will need the communication skills of an expert compromiser and a daring mind; if you fail, you might even be hung by the neck on a tree. You must embrace the great danger and depart. You must avoid being seen by the other tribes on this land, which are dominated by the Embinyu Church, so they cannot oppose you. You cannot relax in any place besides the three tribes of the alliance. Revive the Alliance of the Deliverers and seize the fortress of the Embinyu Church. If you bring about the alliance, you will be able to use the relic of the Matallost Church, the Cane of Promise. Chain quest to Rescue the Prisoners of the Matallost Church, Eradicate the Embinyu Church’s 11th Sect, and the Matallost Church’s Long-Cherished Wish. Quest Restrictions: A quest with a total of three steps. You must complete all of them successfully. Occupy the fortress of the Embinyu Church to complete the quest’s first stage. Fulfill the requirements of the quest to progress to the quest’s second stage. It will result in failure if the pursuers take the Cane. If you fail the quest, all chain quests related to the Matallost Church will end. At last, the appearance of a quest with an S class difficulty! To bring about the alliance with the three tribes and destroy the Embinyu Church’s fortress! It will not end in a simple manner. It was merely the first step of a long quest! Of course, the reward was probably immense, but he also felt a mental burden. A quest restricted only to those with the profession of a Sculptor! Weed was the Legendary Moonlight Sculptor, a profession granted to the only person who had unified the continent. Since he had underlings like Bingryong, the Phoenixes, and Yellowy, he was in a much more advantageous position than others. Even the ‘Interfere with the Embinyu Church’s Ritual’ quest possessed a high difficulty. It was a whopping A. Regardless of difficulty, a difficulty of B or higher impacted the Versailles Continent. The ritual interference quest had been among the somewhat easier quests for an A-class difficulty, but leadership and the ability to command was needed in order to deal with the Guardian Knights of the Matallost Church. If not for sculptures he had prepared in advance, his Charisma, and quick tactical decisions, the quest could have been extremely difficult! How much he had suffered with other difficult quests such as ‘True Blood Vampires’ or when he fought the Immortal Legion! When he fought the True Blood Vampires, he failed the first hunt and died helplessly. He had also died in his fight with Lich Shire, and literally melted from the Bone Dragon’s Breath. He didn’t even have time to resist! Sculpting Blade, Sculpture Life Bestowal, the Art of Sculpture Transformation, the Power to Reject Death. He applied every technique he possessed; his Resilience, Perseverance, and his polished swordsmanship to endure. Although Weed completed those dangerous quests, this time an S-class difficulty quest had appeared. A powerful Sculptor lord leading his sculpture army! It was Weed’s vague dream for the future, but some of the sculptures he created and granted life to lost their lives. 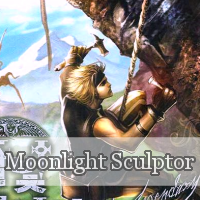 He couldn’t just blindly rely on the Legendary Moonlight Sculptor profession or the effects of his sculpture underlings. For an S-class difficulty quest, without completing it with all his body and soul, it might result to the quest being marked as unresolved. Others weren’t even able to take a glimpse at an S-class quest, but he also couldn’t see it as a blessing. Weed submerged himself in thought with his eyes closed. Stopping in the middle of a quest with a high difficulty, especially a chain quest, yielded an enormous loss. He would get hexed with a curse difficult to lift, or he could lose precious fortune, accumulated fame, or contribution. Weed came to a clear decision. The penalty from giving up and the penalty for failing the quest probably don’t differ much. In worst case scenario, with the Power of Reject Death, he could only lose his life a second time! He decided to give it a go while preparing for the worst case scenario. He was able to strengthen his weakening spirit with confidence. If he was weak, then he needed to be challenged until he gets stronger. He had sewn buttons onto 500 sets of clothing, and stayed up all night to attach eyes onto dolls! He just had to further increase the amount of grinding he had to do for the sake of success. Nehalles Metropolis — The capital city of Brent Kingdom, the long-standing enemy of Rosenheim Kingdom. Peddlers selling fruit called out to players. Saerin, a Summoner, knew the peddler was just trying to make small talk and didn’t pay any attention. Sometimes NPCs gave out information, but they were rarely helpful! The famous Sculptor Weed who had made the Pyramid! Saerin was sightseeing the East. She had known of Weed ever since she first stopped by Rosenheim Kingdom. Other users who overheard them interrupted Saerin’s conversation with the peddler. Even in Brent Kingdom, almost everyone knew of Sculptor Weed, who made Rosenheim Kingdom famous. Saerin was quite flustered because of the players who suddenly gathered around her. She didn’t know Weed was so popular! Players from Brent Kingdom often went on hunting expeditions in Rosenheim Kingdom. The effect of the Pyramid provided immense help. The popularity of Sculptors in Brent Kingdom was at its peak. There were also rumors of players from Rosenheim Kingdom traveling all the way to Morata in the North and its Tower of Light. Weed’s delicious grass porridge and barley bread had already become regional specialties! Variations such as Seafood grass porridge, Mushroom grass porridge, Chicken grass porridge, Beef grass porridge had been produced. The highly nutritious and aromatic baked Barley Bread was also a popular snack. They were legendary foods Weed, who was also well-versed in cooking, distributed to the workers who were helping built the Pyramid. Although there were many imitations, none were as light and savory as the millet and grass porridge Weed had personally made for them. Through those who had eaten Weed’s porridge, the story had spread to the point of becoming a folk legend. The peddler shook his head as if troubled. Information of the Embinyu Church was coming from the peddler’s lips! The Brent Kingdom players, including Saerin, heard the Church’s name for the first time. When the highly famed Weed took the quest, almost all the NPCs of the Versailles Continent began to talk about it. “You say you’re an Elemental Magician? Your skills aren’t outstanding enough to receive my quest.” Viscount Boldman rejected her with a sneer. Even after Hegel, Nide, Selsia, and Twitter finished their quest for the school assignment, they frequently travelled together. In Hegel’s case, he asked for some assistance from the Black Lion Guild, but asking for help every day was awkward. The Black Lion Guild consisted of only high level players, so there were no guild-mates who would travel with Hegel to hunt or complete quests. He could show off his skills and become friends with the girls, so travelling with his friends was a chance to kill two birds with one stone! Since Hegel was a party member, Selsia agreed. Granted, if he was able to accept the quest, he could only share it with his party members if it was shareable. The humiliation he suffered from Boldman! Hegel’s face turned beet red. Boldman, who had spoken nothing but offending words to him and his party, was sparing nothing to praise Weed. The Black Lion Guild chat window was flooded with messages. Provence: It looks like Sculptor Weed is in the middle of challenging an amazing quest with the highest difficulty. All the civilians and Soldiers are talking about Weed. Ject: Provence-hyung, I’ve been hearing about it too. Provence: Where are you currently? Ject: In a small village named Neria in Zen Kingdom. The NPCs are all talking about Weed. Shen: I’m in the Britten Alliance Kingdom; they are also talking about Weed here. Pine: I’m in a rural village in the Western continent. You can also hear talk of Weed here. Shen: Mister Pine, is that true? According to the Black Lion guild chat window, NPCs from across the Versailles Continent were talking about Weed. Provence: For such an uproar to happen, what kind of quest is it? Ject: Surely it’s an incredible quest, a quest related to sculpting? Bindel: A Sculptor… Nowadays, you can see many amazing Sculptors. Provence: Bindel-hyung, what kind of quest could it be? And surely he’s not soloing it, right? Bindel: I don’t know anything about it either. But he must definitely be sharing it with someone. I should have gotten friendlier with the Dwarven Sculptor I met in Kuruso. Then maybe I would hear more about sculpting. The impact from completing an A-class quest and then receiving an S-class quest was enormous. Following Weed’s actions in Kramado Dungeon, his name was now the rage all over the entire Versailles Continent. Hegel’s insides curdled violently. Now, there would be no one who didn’t know of Weed even in school. A young Dark Elf lady in the Yurokina Mountains whispered like this to everyone who approached her. The cute and slim Dark Elves did not hide their hostility towards the Embinyu Church. The SwordNoobs quickly used their heads. Ordinarily, the gears in their boxed in minds didn’t turn, but they had now received training on how you had to live from Weed. Their intimacy with the charming Dark Elves increased! The SwordNoobs were grateful to Weed. Their efforts to become stronger were increasing day by day. To master the Swordsmanship skill and advance their levels through hunting! Weed made a simple wagon and loaded it with the drunkard Mercenary, Smith. The quest difficulty alone was very burdensome, but to make matters worse, the pursuers were gaining ground. Weed coldly analyzed the situation and intentionally acted relaxed. To solve an S-class difficulty quest, he couldn’t become hasty. If his vision becomes too narrow, a chance smaller than the eye of a needle would disappear. In the end, the pursuers drawing near weren’t just time with significance attached; it was an opportunity. Weed actually felt at peace while undertaking a quest with the highest difficulty! Bingryong was responsible for the recon and information gathering about the nearby area. Bingryong and the Five Phoenix Brothers were escorting them from the air. Bingryong’s physique, which had grown even more enormous, and the red blur left from when the Phoenixes passed by, were sights ordinary monsters couldn’t help but run away from in fear! Bingryong folded his wings and seated himself on the ground. His body had been lacking because it was made of ice! Bingryong had dripped ice water everywhere if it got a little warm. Needless to say, his abilities would weaken accordingly. Although it was true the current weather was breezy and refreshing, Bingryong appeared to be in perfectly normal condition. His frame had grown much larger than before and the strength he could exhibit had increased. Before, he had staggered around while walking on the ground because of his weight, but now he outstretched his wings and was able to lower his neck close to the ground by bowing his upper body! Bingryong’s well-made, dignified snout was wide open. His white whiskers shook with suppleness. Bingryong immediately headed north after leaving Morata. After the Cold Rose Guild retrieved the Serbian Beads, the temperature had cooled down slightly. This was a positive thing for Bingryong. It wasn’t the peak of the strength he’d had when the North had been frigid with chill, but normal monsters were still no match for Bingryong. Bingryong sucked in a deep breath, an inhalation so large it ballooned his belly. Not long afterwards, his jaws stretched open almost to the point of tearing. An arctic chill blasted through the air and swept over the terrain. Monsters froze together in groups. The earth, trees, and even the roots were frozen as tens of thousands of icy shards and silvery dust spewed forth. Compared to a real Dragon’s Fear, its power was minuscule. However, at Bingryong’s roar, all ordinary monsters were paralyzed like mice in front of a cat. Bingryong’s body became larger as he grew, and his mind became increasingly intelligent. He only attacked strong monsters from the air. It was so he could flee by flying at any moment if it looked like he couldn’t win, his ulterior motive! Whenever the battle looked a tiny bit dangerous, he would flee quickly. In the first place, he didn’t touch the high-level monsters that could fly faster than him or were dangerous ones who could use magic in mid-air. He was a coward who would flutter to the ground and wait until the flying monsters passed! Once he was in the cold region, it was completely Bingryong’s territory. He grew rapidly by hunting monsters. Weed and human players have a time limit. No matter how much time they invested in Royal Road, they still have to sleep and eat. However Bingryong, who lives inside Royal Road, doesn’t have such limit, so he grew while hunting continuously. He could become stronger and faster than any player as long as he didn’t die; was a characteristic of a sculpture with granted life. At Weed’s words, Bingryong couldn’t bear to give an honest answer. Bingryong wanted to do everything that real dragons did. As his level and intelligence rose, his behavior was becoming similar to that of a real dragon. Bingryong looked away. The sight of him silently preening his wings sure made him like a loser! While Weed was conversing with Bingryong and leisurely chatting away, the drunkard Smith looked anxious. Seeing as he wasn’t drinking the liquor he so liked, he was definitely recognizing the impending crisis he was in. If pursuers were coming, of course it was a wanted criminal’s duty to hightail it! But Weed’s actions were considerably far from it. He did run while riding Yellowy, but trying to save time was simply on a different level; he didn’t show even a slight hastiness. Yellowy was also on the grassland lazily munching on grass. The nature of the slowly moving cow even when it was being led to the slaughter! “Why should we?” Weed actually responded in the opposite. Weed was one to set up an entire schedule for hunting or quests and move thoroughly, but his laxness was currently unparallelled. Smith came down from the wagon, angered. As expected from a former Mercenary, he erased the trails they left and disturbed them; extending the time it would take for the pursuers to catch them. The former Mercenary, Smith, used to have plenty of time. But as the quest progressed, he became more hurried, so he was voluntarily helping by going ahead and determining the route, erasing the trail, etcetera, and extending the distance from the pursuers with his diverse experience. The pursuers emerged from the Embinyu Church’s temple! It was a group consisting of 10 Dark Knights, 3 Priests, and 100 Soldiers. Day and night the pursuers ran across the plains. The Dark Knights were on horseback, but the Priests and Soldiers ran with robust stamina. The pursuer group moved without rest! If their Stamina fell, the Priests cast recovery magic and blessings. The distance between Weed and his pursuers was only a day away. Whenever Weed came across a large grassland, he gave Yellowy plenty of time to rest and graze on the grass. The kindness was enough to make Yellowy rub his head against Weed in gratitude! It was treatment enough to give someone an illusion Weed was a master who truly loved his cow! But Weed’s eyes were gleaming frostily. The distance from the pursuers was quickly closing in. Since Weed was idly carving sculptures atop Yellowy, the pursuers approached even faster. The closest alliance tribe of the Matallost Church was still two days away. Because they were taking their sweet time and moving slower than usual, the pursuers caught up to them in half a day. The drunkard Mercenary Smith, who struggled with all his strength, was still unable to delay them by much. Even though he could see the dust cloud of their pursuers in the distance, Weed was not alarmed. Weed called Bingryong and the Phoenixes. “I see. I alone am sufficient.” Bingryong soared into the air. Each time Bingryong flapped his wings, he rose in a straight ascent high above the ground, until his body looked like it had shrunk to the size of a hand. His belly bulged out and a snow-white Breath shot towards the direction of the pursuers. The Dragon’s Breath flew like a meteorite, leaving a long trail behind as it blasted the pursuers. The powerful attack froze the ground and the pursuers all at once! The Dark Knights were able to barely hold onto their lives by abandoning their horses and throwing themselves elsewhere. However, a part of their bodies was frozen. The Dark Knights had lost all will to fight and were quaking like aspen trees! Bingryong flew over to where they were and trampled them. Bingryong annihilated the pursuers in a single blow! Bingryong inhaled another large breath and roared while looking all all round him. It let out a victorious battle cry similar to the King of the Dinosaur Era, the Tyrannosaurus Rex. His roar echoed in every direction. The frail, timid, and powerless Bingryong’s level had now passed level 446. The grown Bingryong was boasting of his strength. It was on break for a while after broadcasting the adventure in the land of the Vampires. — What’s the meaning of ‘Weed’? — Are you not broadcasting these days? Questions popped up once in a blue moon on the website’s message board because the program ‘Weed’ had been a broadcast with low viewer ratings. The Website Administrator, Oh Yun Sil answered their questions politely. — The meaning of the title ‘Weed’ is a secret. It’d be nice if this became a show viewers can get involved in. It is difficult to tell you about the future broadcast schedule as it is adjusted according to the station’s internal schedule. The viewers who saw the admin’s words were certain. As such, the program ‘Weed’ was slowly being forgotten by the viewers. However, the head honchos of KMC Media hadn’t lost their expectations for the program ‘Weed.’ The Equipment Technicians, Production Director, Writers, and Hosts were just waiting to be called. Then a rumor Sculptor Weed was doing an incredible quest spread throughout the Versailles Continent. KMC Media immediately held a meeting for the broadcast. It was a meeting personally being chaired by the Head Director. A simple analysis had just been concluded after looking at the images from the circuit connected to Lee Hyun’s capsule. The Head Director was a great fan of Weed. Apart from the broadcasts, he was excited from just being able to see Weed’s adventures! Director Kang raised his hand to gain permission to speak, and moved his face closer to his microphone. Director Kang took out a handkerchief and wiped the sweat on his brow. He felt the pressure of having to oppose the Head Director’s words as a salaried worker! In this desperately dangerous situation, his shirt was drenched in sweat, but he still had to say what had to be said. The battle where Weed had fought as the Orc Karichwi had been so impressive, he still hadn’t forgotten it. The Immortal Legion broadcast was still at the top of the ranking for the number of downloads. Director Kang thoroughly praised Weed. Since the Head Director was a fan, criticism of Weed was off-limits within the station! The Head Director nodded since he understood what Director Kang was trying to say. After all the troubles Weed faced while crossing the cold and desolate North, he rode a Wyvern and defeated the Bone Dragon at the end of a great struggle. The heft of an A-rank difficulty quest was still as great as ever. Their competitors, CTS Media, had broadcasted an eradication of Giant Forest Golems and a related A-rank difficulty quest, and their viewer rating jumped to 7% in an instant. For game broadcasting ratings alone, it was over 60% of the share. The faces of the Head Director and the other directors turned serious. It was a quest overwhelming to manage even if Weed gave everything he had. He couldn’t hide the skills he possessed on top of that. In conjunction with the Head Director’s words, the meeting was coming to the decision of forgoing the broadcast. Just then, the phone on Director Kang’s table rang. After hesitating for a moment, Director Kang pushed the button on the phone. He heard the staff secretary’s voice on the speakerphone. — I’m sorry. There’s an important call for you, Director Kang. — A person named Lee Hyun. Surprise swept over Director Kang’s face. Then he explained to the Head Director and other Directors. After a while, Lee Hyun’s call connected from the Secretary’s room to the meeting room. — Not at all. More importantly, I received the money you deposited, thank you. The salary from the Palrangka Battle had been deposited into his bank account. Since he was given incentives based on the ratings and even gained a profit each time the broadcast was downloaded, it was actually a considerable sum! Lee Hyun laughed in a very satisfied manner! — Actually, I have a question to ask. I contacted you because of the broadcasting of the quest I’m currently doing. How is it? Director Kang explained step by step. Since it was an S-rank quest and was the focus of attention, as broadcasters, of course they wanted to broadcast it. While earnestly expressing his very anxious feelings, he conveyed the difficulty of the situation. Whether he understood Director Kang’s mournful feelings or not, Lee Hyun’s response was incomparably relaxed. — You can broadcast if you want. — Don’t you need to broadcast to raise the ratings? The rating needs to rise to get commercials. — If there’s a program you need, then all you need to do is broadcast it. If it’s for the station and the viewers, won’t your company’s public relations be able to do a lot of marketing? Lee Hyun was explaining the necessity of the broadcast to Director Kang, who was a veteran in the field! — Please think about the viewers. What do the viewers want? Fun and the answers to their curiosity! And don’t they want to enjoy it together? — How can a station ignore the demands of the viewers? Is that okay? If you respect your viewers, don’t you need to put swift coverage and delivery of information first? It was a lecture only to happen in a broadcasting association’s get-together! — On the message boards, there are a lot of viewer’s comments asking to broadcast what kind of quest it is. Naturally, there were many comments asking to broadcast the quest on the station’s viewer forum. Not only KMC Media, but the unanimous opinions of viewers in CTS Media and other stations were also being flooded. — Is there anything that comes without a price in the world? There is no such thing as free money. Lee Hyun had known this from an early age. — I’ll have to do my best. Director Kang and KMC Media did not want to inconvenience Lee Hyun with the fame from being the Wargod Weed and the fact he was the main character of the adventure! For Lee Hyun’s sake, the station had been on the verge of suspending or cancelling the broadcast. Lee Hyun’s answer was firm. However, immediately afterward he asked with a trembling, choked voice. — Hey, by the way… Ummm. — The broadcast will have an incentive this time too, right? There was an incentive on the contract conditions. That was the only thing he was worried about! He didn’t trust promissory notes, coupons, or anything like shares, whose values could rise or fall unpredictably. Only KMC Media held Lee Hyun’s confidence, as they made sure to deposit the money on the agreed date. After Lee Hyun’s call ended, the mood within the meeting room changed immediately. “Yes, Head Director. If we do the broadcast, we estimate the ratings will be considerable. Since it can also attract ordinary people who almost never watch game broadcasts, I’m confident of 17% at minimum. The positive mindset was spreading! He was the Wargod Weed who had always achieved surprising results, even results no one could have imagined. He had never been in an easy fight. At other times, he didn’t show the absolute authority or charisma from his time in the Continent of Magic. He went freely as a stingy person, grinding machine, Chef, Sculptor, Blacksmith, Tailor, and borderline scammer. But when the battle broke out, with the appearance of the Orc Karichwi and the Origin of the Skeleton, he made the truth of who he was plenty clear to the viewers. The station had absolute confidence. They had just been indecisive about the broadcast because his enormous fame might be harmed. There was no one involved in the station who would hesitate to broadcast about Wargod Weed. The Head Director finally gave his decision. The Embinyu Church’s Priests were able to detect the deaths of their colleagues. The church formed a group to chase them again. The pursuers composed of 20 Dark Knights, 5 Priests, and 300 Soldiers! The Dark Knights were riding swift coursers, and the Soldiers and Priests rode carriages. After improving their mobility, they pursued Weed again.